[dropcap]S[/dropcap]enators Dan Coates of Indiana and Ben Cardin of Maryland introduced S.400, IRS Notice for Organizations that Include Charities is Essential Act. it files an annual return or required information for the current year. • If passed, this Bill would be retroactive to December 31, 2014. We will continue to follow this legislation and keep our readers apprised. [dropcap]A[/dropcap]s presidential candidates start announcing their intentions, we thought it would be a good time to review briefly how to protect your nonprofit status during the next year or so as campaigns begin to ramp up. Under the Internal Revenue Code, all section 501(c)(3) organizations are absolutely prohibited from directly or indirectly participating in, or intervening in, any political campaign on behalf of (or in opposition to) any candidate for elective public office. Contributions to political campaign funds or public statements of position (verbal or written) made on behalf of the organization in favor of or in opposition to any candidate for public office clearly violate the prohibition against political campaign activity. Violating this prohibition will result in denial or revocation of tax-exempt status and the imposition of certain excise taxes. • Certain activities or expenditures may not be prohibited depending on the facts and circumstances: certain voter education activities (including presenting public forums and publishing voter education guides) conducted in a non-partisan manner do not constitute prohibited political campaign activity. • In addition, other activities intended to encourage people to participate in the electoral process, such as voter registration and get-out-the-vote drives, would not be prohibited political campaign activity if conducted in a non-partisan manner. 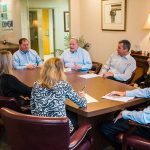 Our professionals are very knowledgeable in this area and would like the opportunity to assist you in developing protocol for your particular organization. 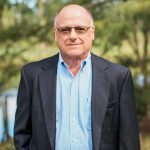 An independent contractor—A general rule is that the exempt organization, as the payer, has the right to control or direct only the result of the work done by an independent contractor, and not the means and methods of accomplishing the result. A common-law employee—Under common law rules, anyone who performs services for an exempt organization is the organization’s employee if the organization can control what will be done and how it will be done. This is so even if the organization gives the employee freedom of action. What matters is that the organization has the right to control the details of how the services are performed. To determine whether an individual is an employee or independent contractor under the common law, the relationship of the worker and the organization must be examined. In an employee-independent contractor determination, all information that provides evidence of the degree of control and degree of independence must be considered. 3. type of relationship between the parties. Directors of a corporation – members of the governing board – are defined by statute as non-employees. 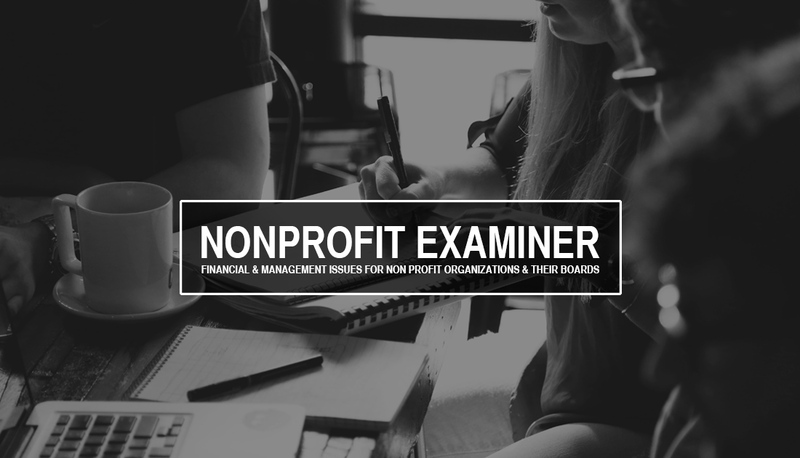 If an exempt organization pays its board members to attend board meetings or otherwise compensates them for performing their duties as directors, the organization should treat them as independent contractors. This is the most common type of statutory non-employee that may be involved in an exempt organization. In determining whether the person providing the service is a common law employee or an independent contractor, all information that provides evidence of the degree of control and independence must be considered. It is critical that the EO, as the employer, correctly determine whether individuals providing services are employees or independent contractors. Generally, the EO must withhold income taxes, withhold and pay Social Security and Medicare taxes, and pay unemployment tax on wages paid to an employee. The EO does not generally have to withhold or pay any taxes on payments to independent contractors. It is important to remember that your organization can be held liable for employment taxes, plus interest and penalties, if a worker is incorrectly classified as an independent contractor. Our professionals are very knowledgeable in this area and would like the opportunity to assist you. [dropcap]D[/dropcap]onors who purchase items at a charity auction may claim a charitable contribution deduction for the excess of the purchase price paid for an item over its fair market value. The donor must be able to show, however, that he or she knew that the value of the item was less than the amount paid. For example, a charity may publish a catalog, given to each person who attends the auction, providing a good faith estimate of items that will be available for bidding. 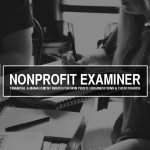 Assuming the donor has no reason to doubt the accuracy of the published estimate, if he or she pays more than the published value, the difference between the amount paid and the published value may constitute a charitable contribution deduction. In addition, donors who provide goods for charities to sell at an auction often ask the charity if the donor is entitled to claim a fair market value charitable deduction for a contribution of appreciated property to the charity that will later be sold. Under these circumstances, the law limits a donor’s charitable deduction to the donor’s tax basis in the contributed property and does not permit the donor to claim a fair market value charitable deduction for the contribution. Specifically, the Treasury Regulations under Section 170 provide that if a donor contributes tangible personal property to a charity that is put to an unrelated use, the donor’s contribution is limited to the donor’s tax basis in the contributed property. The term unrelated use is defined as a use that is unrelated to the charity’s exempt purposes or function, or, in the case of a governmental unit, a use of the contributed property for other than exclusively public purposes. The sale of an item is considered unrelated even if the sale raises money for the charity to use in its programs. The professionals in our firm can assist you in understanding the tax complexities of fundraising events.